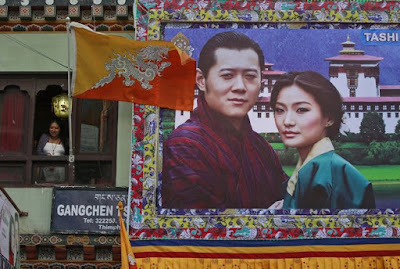 Forget about William & Kate's wedding! 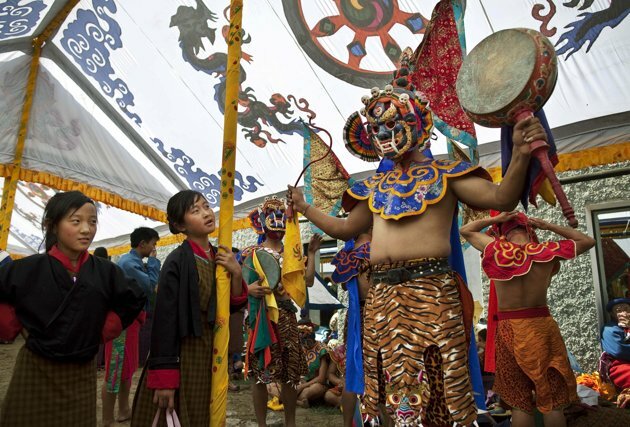 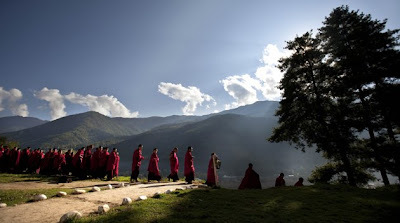 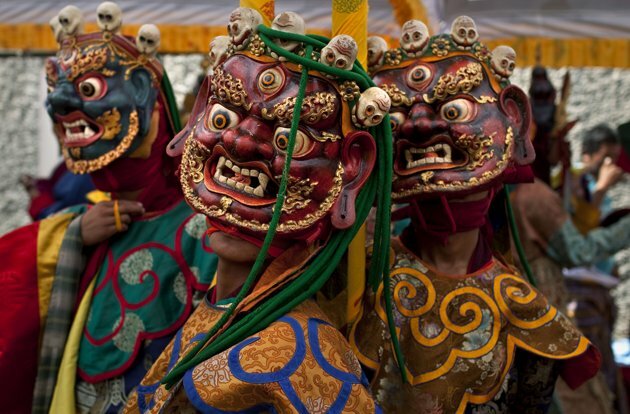 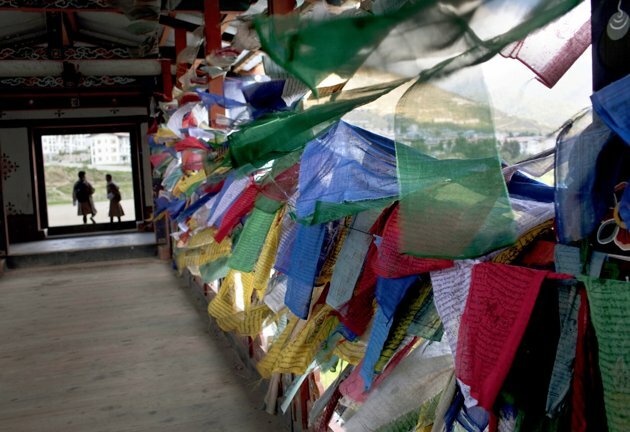 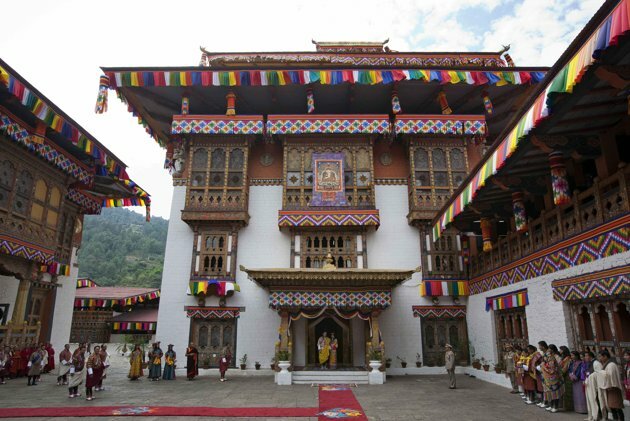 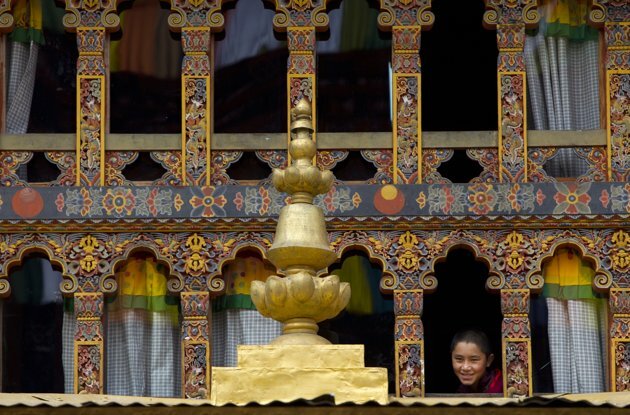 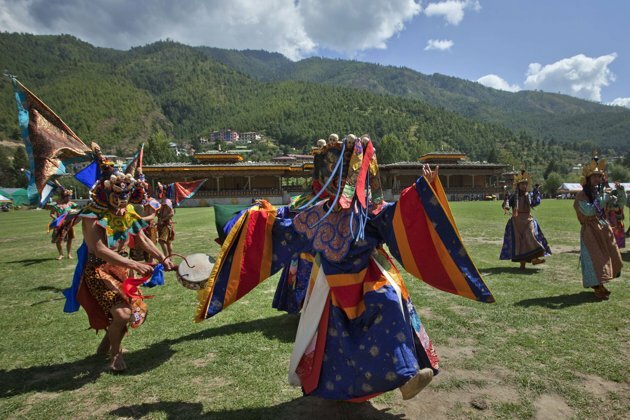 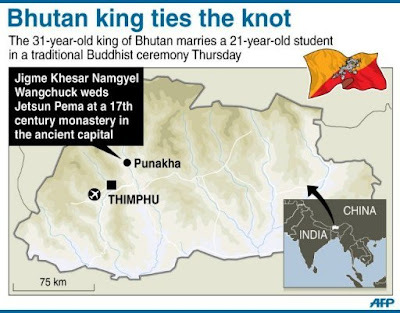 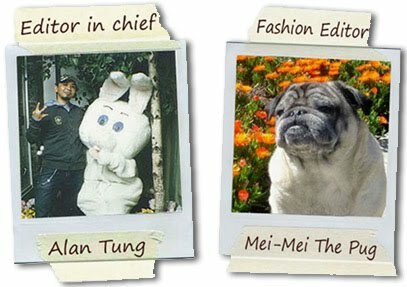 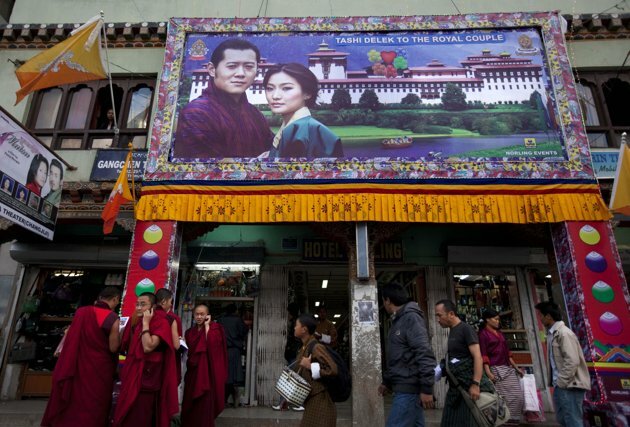 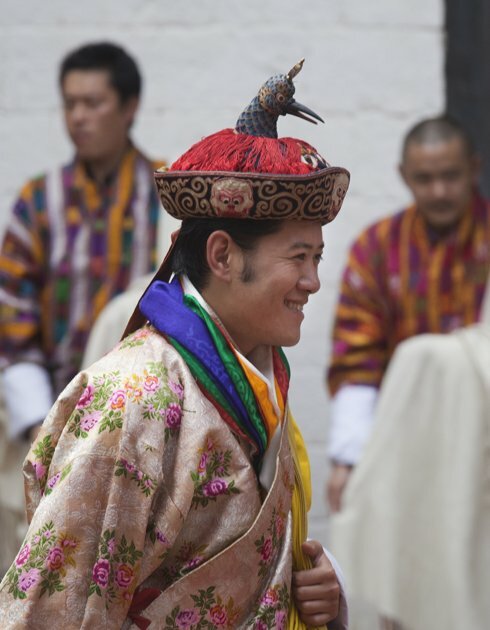 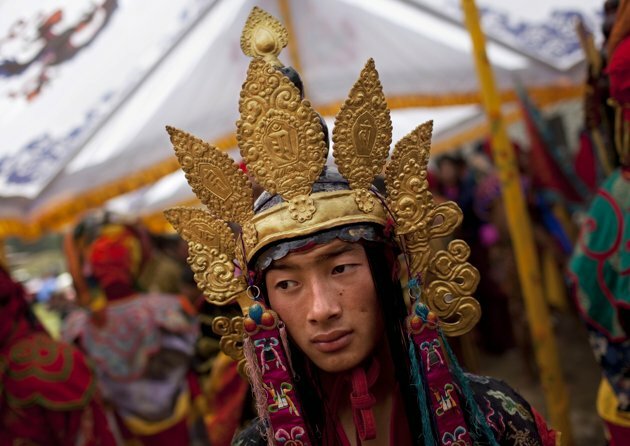 Today there is a beautiful royal wedding at a tiny county between China & India in the Himalayan mountain "Bhutan"! 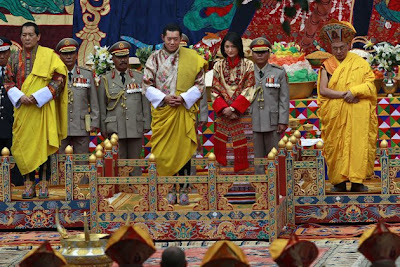 His majesty Kin Jigme Khesar Namgyel Wangchuck, 31 years old holds his Raven crown as he and the Queen Jetsun Pema, 21 years old commoner today on October 13th, 2011. 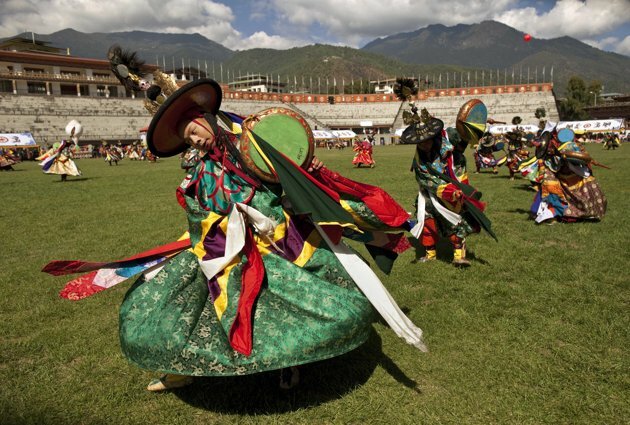 Just look at all of those colorful & beautiful costumes they wear, I can just study each details of each embroidery for hours! 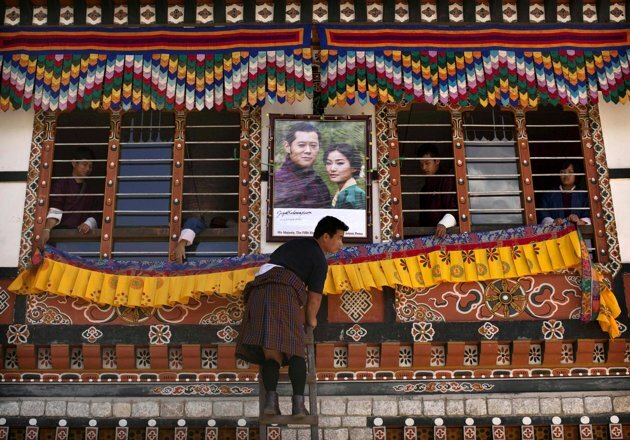 here are some photos courtesy by AP Photo/Kevin Frayer covering this event. 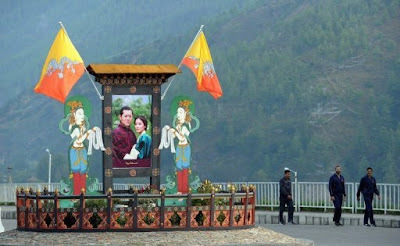 Isn't this a beautiful wedding? and the Queen is gorgeous! We wish them happily ever after!